I can remember when the iPad was just something we hoped Apple would release. 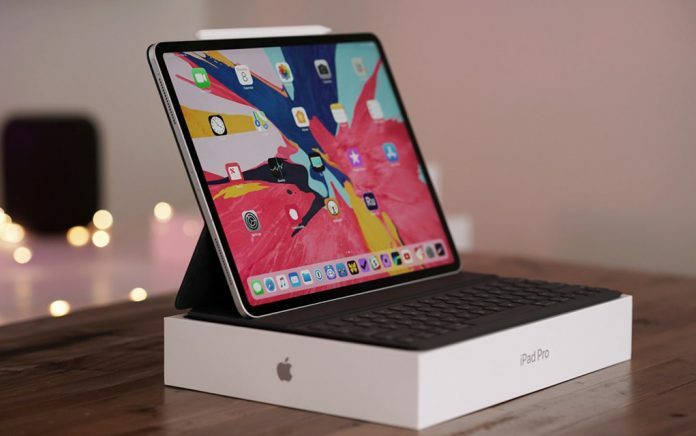 After the original 9.7-inch iPad was introduced in 2010, it was another five years before Apple released the iPad Pro, which had a bigger screen (12.9 inches) with more RAM and more storage as well as an optional stylus called the Apple Pencil. It took three more years for Apple to release a new version of the 12.9-inch iPad Pro. For years, there has been a core group of iPad fans who want to use the iPad as a laptop replacement. This year the iPad Pro has the really speedy A12X Bionic chip, which is faster than a lot of laptop CPUs. Users can also opt for up to 1 terabyte of storage, which is really more than most of us need from a tablet. Apple opted to change the charge/sync port to USB-C instead of Lightning. That might not seem like a big change, but the USB-C port opens up a ton of possibilities for peripherals to help the iPad do things like connect to USB-C monitors. The iPad’s screen will mirror on the external monitor for most applications, but there are a few apps like iMovie that will let you display video on the external monitor while you use the iPad’s screen to interact with the program. The iPad Pro can also import photos directly from cameras or memory cards. With USB-A adapters, you can connect wired keyboards. You can also connect ethernet cables with an adapter. The USB-C port is also capable of providing a charge for your phone or watch or any other device that charges from USB. As with the latest iPhones, Apple has dropped the physical home button along with the fingerprint reader. The new iPads have Face ID with an edge-to-edge screen. Since the bezel that surrounds the screen is largely gone, the new iPad Pro is smaller and lighter than the last version. It feels bigger and smaller at the same time. The body is aluminum, and it’s more squared than rounded. It reminds me of the body of the iPhone 5S. The Face ID camera is located on the bezel, and you have to be careful not hold the bezel when you are trying to use Face ID, although a small box on the screen will warn you if your hand is over the sensor. Like the new iPhones, the iPad Pro does not have a headphone jack. I’d recommend a pair of Apple AirPods. The new design is really nice. I found the new iPad Pro really easy to pick up and hold. The smaller bezels still let you hold onto it comfortably. I made it a point to try some online versions of my favorite magazines, and the iPad Pro is perfect for reading. The 2018 iPad Pro has a 12.9-inch IPS LCD Liquid Retina display with a resolution of 2048 x 2732 pixels. More important, it has a 120 Hz refresh rate for extremely smooth motion onscreen. It runs on the A12X Bionic CPU with four gigabytes of RAM and storage options of 64/256/512 GB. Pricing is $999 for 64 GB, $1,149 for 256 GB, $1,349 for 512 GB and a whopping $1,749 for the 1 terabyte version I reviewed. The 1 TB model gets a bump to 6 GB of RAM. Adding a cellular radio adds $149 to each configuration. The main camera has a 12-megapixel sensor with a wide-angle f/1.8 lens. It can record video up to 2160p at 60 frames per second. The selfie camera has a 7-megapixel sensor that supports portrait mode and animoji. It has Bluetooth 5.0 and 802.11ac Wi-Fi. It’s powered by a 36.71-watt-hour battery for up to 10 hours of use. The case measures 8.46 x 11.04 x 0.23 inches and weighs 1.39 pounds. There is an 11-inch version of the iPad Pro priced $200 less for all configurations. Apple redesigned the Pencil, which now charges wirelessly through a magnet on the iPad’s top edge. Unfortunately, the new iPad Pro is not compatible with the original pencil. The new Pencil ($130) gives the user the ability to change tools with a double tap. Apple also moved the smart connector, so none of the old keyboard cases will work. The new Smart Keyboard Folio ($199) attaches magnetically to the back of the iPad Pro. Just open it up to wake the iPad and you can start typing with zero configuration. I was never a fan of the original 12.9-inch iPad Pro. It was just too big to be useful for me. It had a great screen, but I couldn’t see carrying it around. The new iPad Pro seems to have the size just right. It can hide under a piece of letter-sized paper, and it feels really solid but not heavy at all. The iPad Pro is finally up to date with specs and design. The pricing is on the high side, but Apple has never been at the low end on price. In fact, the 1 TB iPad Pro with the Pencil and Smart Keyboard Folio will set you back more than $2,000. I’d personally opt for the 256 GB version. You can hold off on the keyboard folio unless you write for a living. Adding a wired keyboard is much cheaper, and you can choose your keyboard style. If you’re an artist, the Pencil is a must have, but I’m not, so I found I really didn’t use it. This iPad has the tech chops to do almost everything a laptop can do, which is a good thing since the top-end iPad Pro costs more than my 13-inch Macbook Pro. Pros: Perfect size; really fast; good peripherals. Cons: Top-end configurations get really expensive.